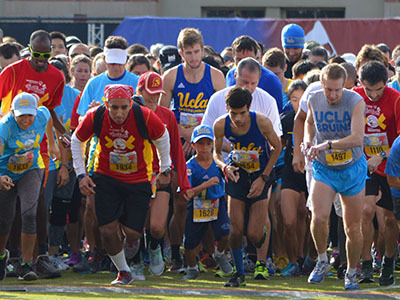 Run or walk in the We Run the City 5K or 10K and pledge your allegience to UCLA or USC while supporting Special Olympics Southern California! 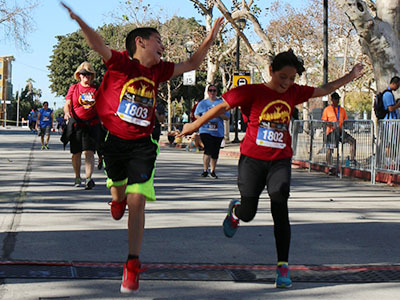 Kids can register to race in the 1/4 mile Kids' Race. It will take place the same morning as the 5K/10K! Register to fundraise online! All funds raised will directly benefit the athletes of Special Olympics Southern California! Funds raised by the We Run the City 5K run/walk & 10K run support Special Olympics athletes. Alumni, faculty, fans, staff, and students compete for bragging rights and the We Run the City trophy. Runners will receive a Team USC or UCLA event shirt and a finisher's medal. Runners/walkers who fundraise will have the opportunity to earn more prizes. 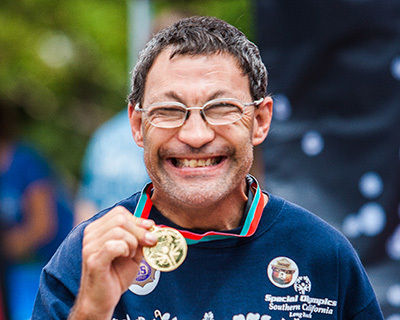 Special Olympics Southern California enriches the lives of children and adults with intellectual disabilities and their communities through sports, education, and athlete health. Every dollar raised through We Run the City not only provides free year-round sports training and competitions for our athletes, it also gives them empowerment, joy, and improved health. 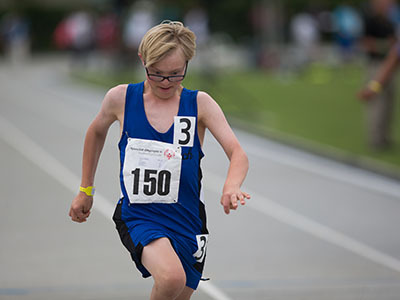 Special Olympics helps build the self-confidence of a person with intellectual disabilities so they can work and give back to their community. It drives their determination so they can overcome hurdles. It also inspires people to open their hearts to the wider range of human potential and talent, and provides our athletes with an opportunity to shine and live happier, healthier, and longer lives. Learn more about SOSC.